Text type (e.g. hand-written, GRU tags, carved): Yellow paint. Some outlining in black. 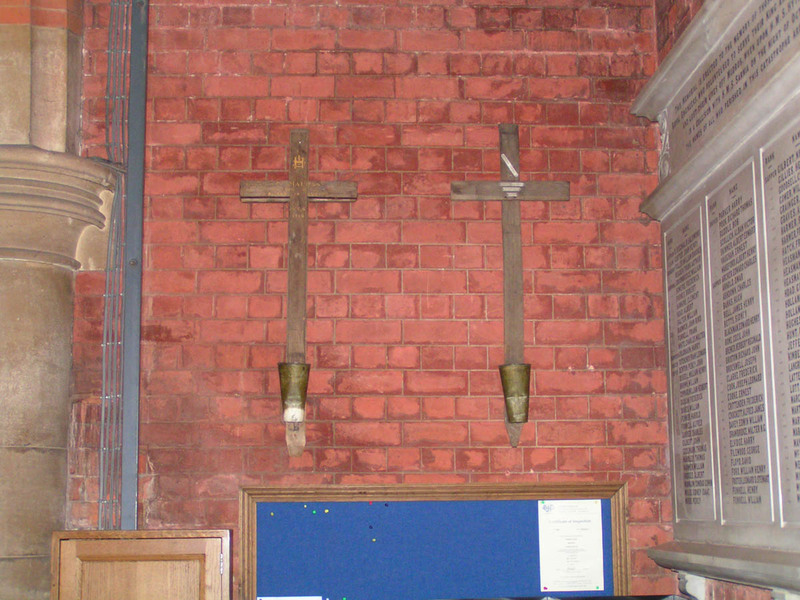 The crosses are at the back of the nave on a south-east wall adjacent to the Hythe memorial. 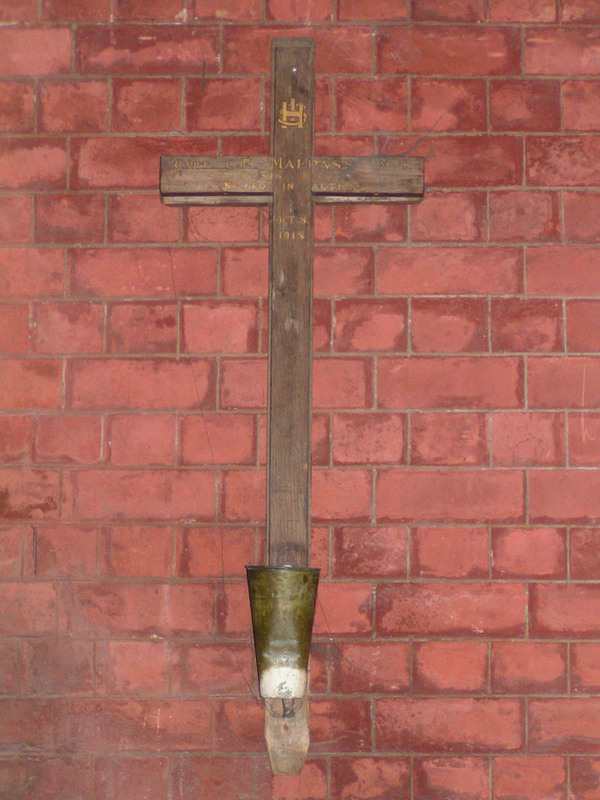 This (C E Malpas) has another cross of slightly larger dimensions behind it. 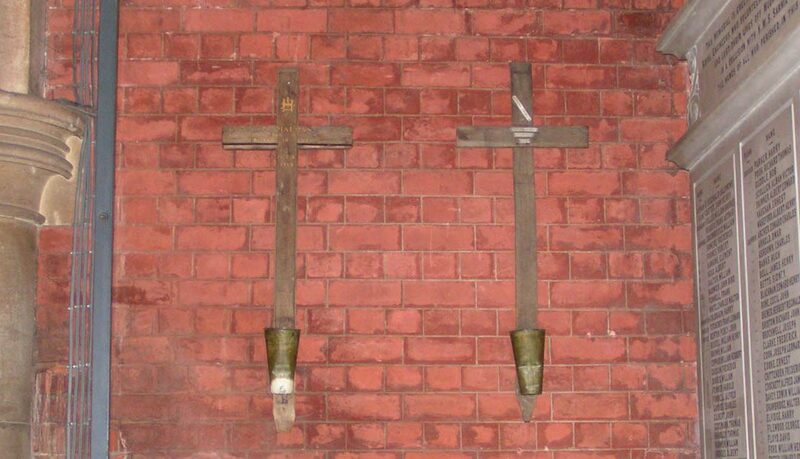 The other cross (D Young) is single. Both this and that of D.Young have flower vases attached to the base, any staining may be due to this. 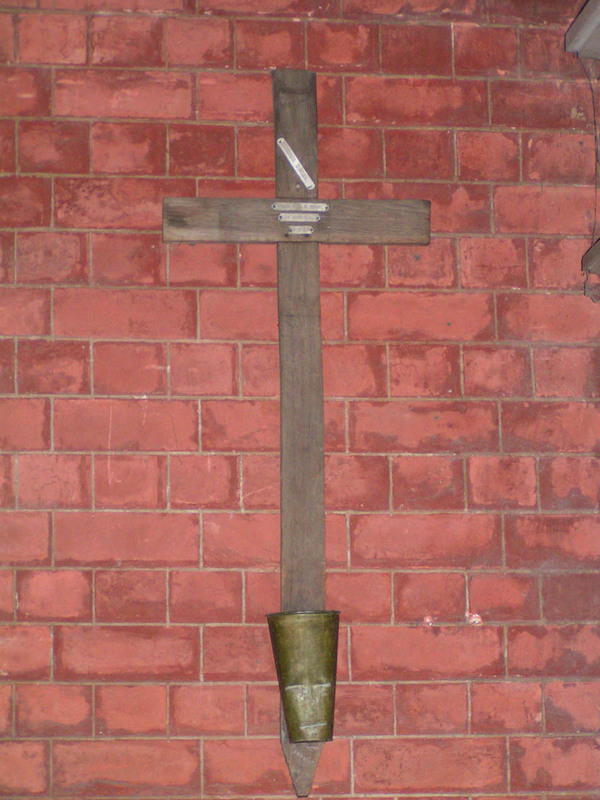 Rectangular shadow at top of cross. Both this and that of C.E.Malpass have flower vases attached to the base, any staining may be due to this.